For many people who sew, a pillow was their very first sewing project. If it wasn't their first it probably in the first ten things they sewed. A pillow is still a great first time sewing project but don't forget just how much you can elaborate on a simple pillow with embellishments and different sewing techniques. This list of free pillow patterns is designed to take you to the various options for sewing pillows. Whether you working on a gift, helping someone who is recovering from surgery or decorating your home, there is bound to be a pillow that is perfect for what you need. 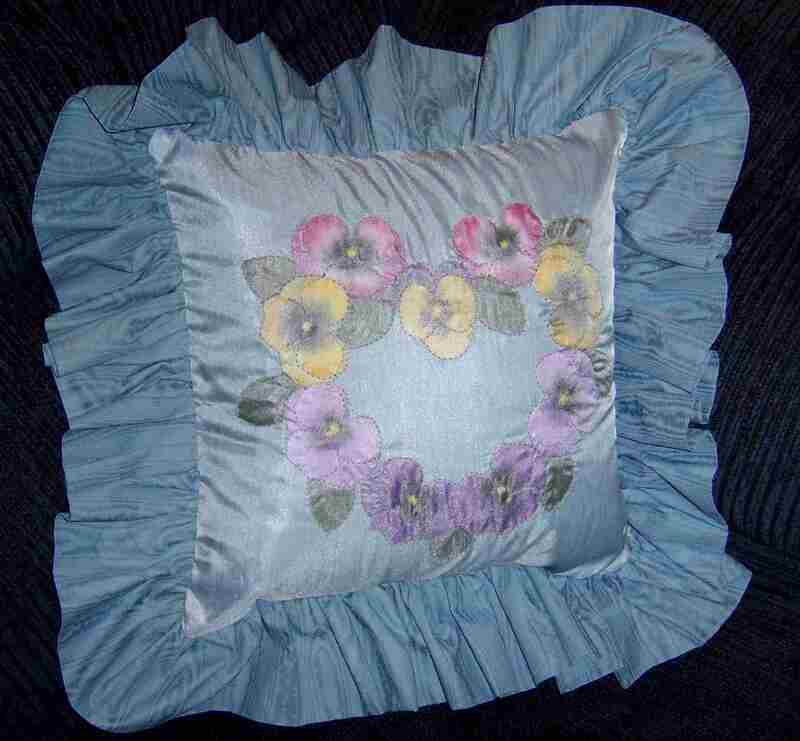 Piping, ruffles and trims are great ways to dress up pillows that totally change the look of a straight edged pillow. Using different fabrics or multiple layers of different size ruffles are just a few ways you can take basic information and make it your own in so many ways. Simple does not mean it won't be beautiful! Simple means it's a great way to learn and can be accomplished fast if you are experienced. These pillows also can just cover an existing pillow so you don't have to invest in new pillows. Sewing has so many ways to help others! If you have child print fabric that is hanging around in your stash, consider making it into pillow cases and donating them to your local Ronald McDonald House or Domestic Violence Shelter. A basic pillow is a great beginner sewing project. Keeping it simple is a great way to achieve something you are proud of. A basic pillow cover is also like a blank piece of paper. The options for embellishment are endless and you have a blank canvas to start being creative. Every home needs throw pillows! Regular pillows with something special that make them stand out are a great way to spice things up in your home. Basic sewing skills makes it possible for you to be a home decorator with special pillows. A pillow does not have to be a rectangle, square or circle. When you sew the limitations disappear. A tooth fairy pillow may be held on to for a lifetime and handed down for generations. These pillows can truly spice things up and change ordinary to extraordinary. Sew a Floor Pillow to Keep Your Feet Warm - Great Under the Desk! When most of us think of a pillow we think of soft and ruffles but they don't have to be. A fabric choice and piping can make a fantastic pillow for a guy but you can go beyond a regular pillow for a guy. The sports enthusiasts are bound to love sports ball pillows... and they can throw them in the house with out the damage a real ball will cause. Sewing for your health and comfort is a great way to put your sewing skills to work. Whether your following a Tutorial: DIY Nursing Pillow and Slipcover or creating Cardiac Huggy Pillows, sewing is a great way to help when you feel like there is nothing you can do.